Maurice Louca was born in Cairo, Al Qahirah, Egypt, where he lives and works as musician . He is a pioneer of the Egyptian experimental music. 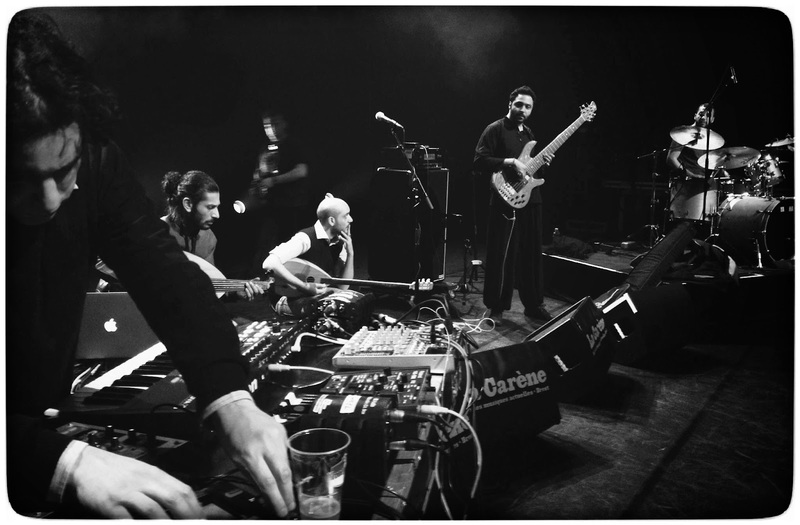 Alongside Mahmoud Waly (bass and electronic music) and Mahmoud Refat (percussion and electronics) , he founded the group Bikya, a folktronica project. 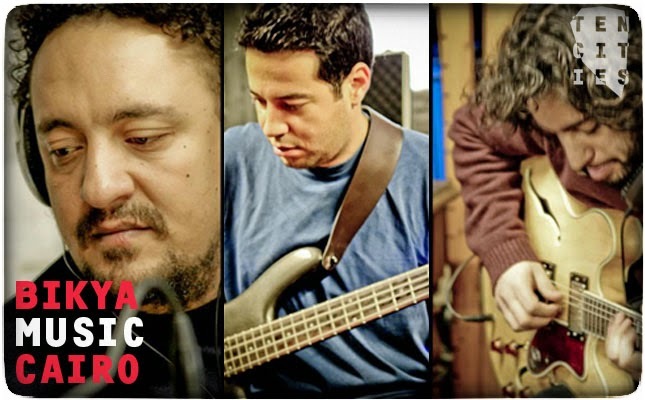 The trio of musicians came together to create music combining acoustic and electronic experimentation, in which the complexities and contradictions of experience "live" result in a dynamic artistic innovation. 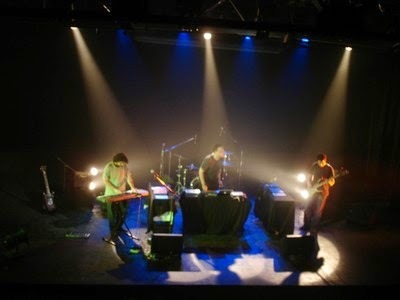 A picture of their diversity, their music is a fusion of disparate styles: drum'n'bass , techno classic, funk, trip hop , electronic music, folktronica , which frustrates any attempt categorization. With a solid acoustic trio of drums, bass, guitar/synthesizers and along electronic experimentation, Bikya is constantly creating a fusion of styles - thereby crushing lables and genres. In 2007 they released their self titled debut album Bikya with the Cairo based label 100COPIES, and from then on have intensively toured in the Arab world and Europe. Maurice Louca released his first solo album Garraya in January 2011 under the label Cairo 100 COPIES . It includes songs composed and produced the last two years . Composing music is a mix of hypnotic sounds and rhythmic tones . Maurice Louca has also composed for theater, film and collaborated with several contemporary artists. Their sound is melancholic yet modern, with frequent vocal interventions by Ghazala, who recites a poem called “Hassan” by Iraqi poet Sargon Boulos against progressive rock riffs, electronic textures and some improvisation when performed live. The Egypt Independent newspaper recently wrote in his column : "While other similar artists from the local scene continues to wade in the footsteps of Radiohead, Louca , he moves light years away - quietly experimenting in the company of Flying Lotus , with different levels of complexity. " Bikya came to be known for a special blend of drum 'n' bass rhythms, Detriot techno embellishments, funky bass lines and noise elements. The band is still together, performing sporadically, but now the three individuals work on their solo and side projects more regularly. Meanwhile Louca is currently working on a side project called Alif Ensemble — a pan-Arab, multi-instrumental band due to release their album in the coming year. Founded by renowned Iraqi oud player Khyam Allami, and formed around Louca and Palestinian composer and producer Tamer Abu Ghazala, the project brings together various other musicians from Syria, Lebanon and Jordan, creating a contemporary take on oud-driven acoustic-electronic music. Louca’s music plays off a make-believe conversation between east and west, past and present, earth and space. It feels simultaneously tribal and futuristic, and the music becomes an agency for the imagination. Your dance movements are your only means of expression between a folkloric past and funky, fidgety future. 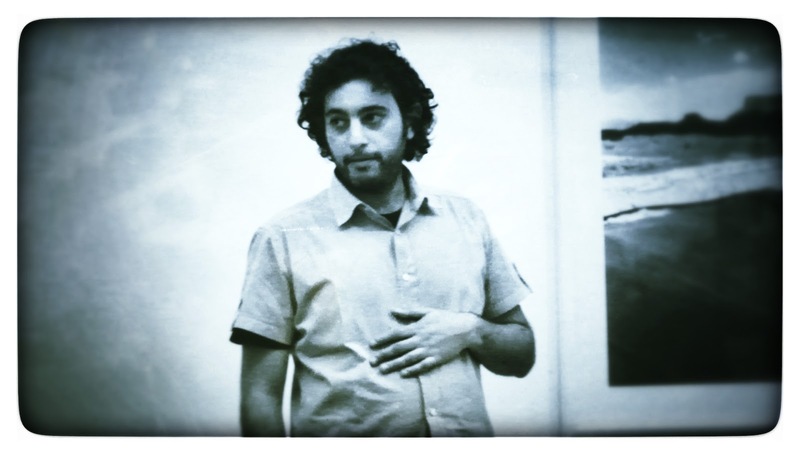 He has composed and preformed live the original sound track for Sherif el Azma's Video/Lecture, Psycho Geography of Loose Associations, part of Meeting Points 5 . Over the last couple of years he has performed his live sets Passage 35 and Flood lights, leading him up to his latest studio work Garraya which is due for release January 2011 by the music label 100copies. Maurice Louca represents an extreme wing of Egyptian contemporary music. He is known for taking experimental sounds a solid bit further than most colleagues, and has distinguished himself with an effective combination of beautiful ambient and more introverted drone sounds. Maurice claims to be inspired by Arabic folk music as well as modern electronica and the sounds of Cairo’s streets. All these sources can be easily identified as they are floating about in a rich and dynamic sound picture best described by British music mag Bearded Magazine as “a veritable eco-system”. Maurice creates music which can at times be demanding, but the surprising combination of peaceful and intense renders the total experience even more harmonious and beautiful. I can't think of any other instrument that has been fucked around with in the last 100 years more than a guitar, there is something about the instrument and its history that inspires you to constantly rethink how to play it. I would rather i didn't, not that i would know how to it. The guitar. At first i would just strum to music that I liked, not really bothering to play the right notes, but playing it more like a percussive instrument. Then, I started to take guitar lessons for a couple of years, but I think I learned most by playing with other people. I was very lucky in the sense that I had friends starting out around the same time, so we formed a band almost immediately. We barely knew how to play but that didn't matter, I think that was very important for me. It was a surprise birthday present, i was quite young and it was unexpected, so i guess the thing i remember the most is the first time i saw it when i found it in my room. So, why do you use a guitar? I go through phases were I neglect the guitar, I can go months without playing the guitar, but i always go back to it, its still the instrument i enjoy playing the most. Which work of your own are you most surprised by,? Depict one image you're still looking for. For a while i used to use a lot of effects i think in a way i was trying to make the guitar sound like something else, but after delving more into synthesizers, keys and samplers that urge was satisfied else were so know i barely use any effects on the Guitar, at the moment i play an Epiphone sheraton, i have an over drive pedal and a digital delay pedal, i also just bought a Yamaha folk guitar.